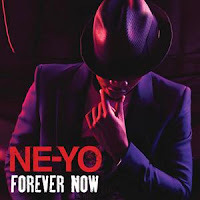 Ne-Yo unleashes a steamy and dance-intense music video for his latest single "Forever Now," a track lifted from his Billboard 200 top 10 fifth studio album R.E.D. Was gonna give you these flowers tonight? Was gonna ask you to stay. But now there are no words to say. I scream what am I gonna do with forever now? Tell me what am I gonna do with forever now? So tell me what am I gonna do with forever now? And I scream what am I gonna do with forever now? What do I do now What do I do now? What do I do, what do I do now?